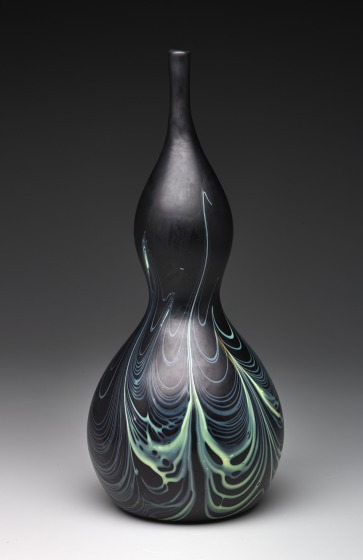 Suggestive of a great, dark gourd, vessels such as this are among Louis Comfort Tiffany's earliest vases. 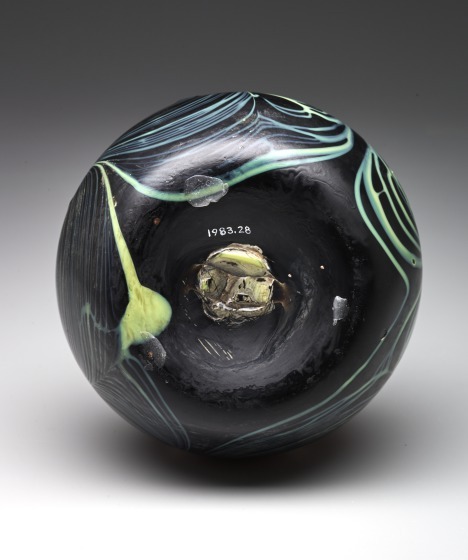 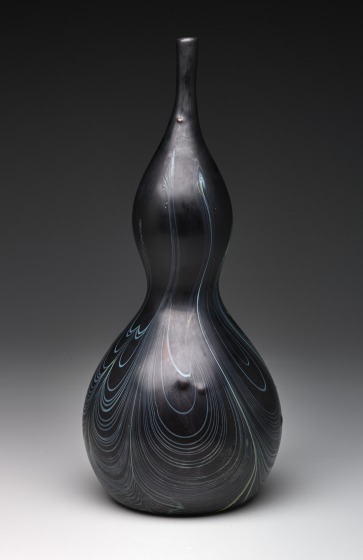 As with this example, his designs for glass typically reflect his love of natural forms and his admiration for the subtle iridescence of ancient glass. 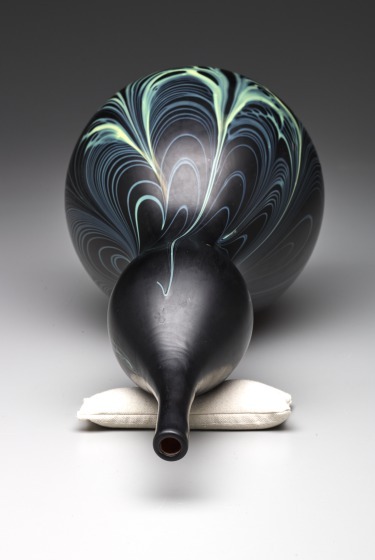 Although Tiffany initially pursued a career as a painter, his talents in interior decoration led to his experimentation with a range of media. 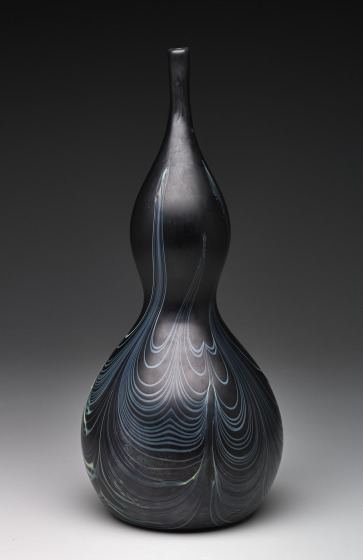 In 1893, following his successes in furnishing the interiors of the homes of New York's elite, Tiffany introduced his Favrile glass vessels to the public. 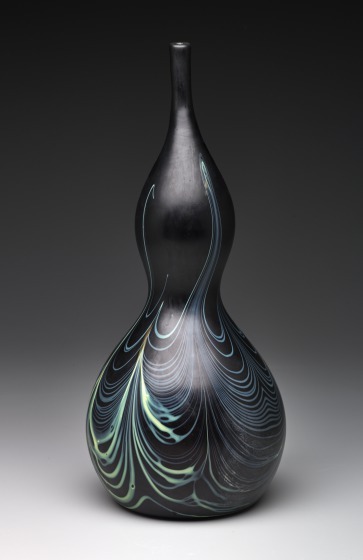 The name was adapted from the Old English word fabrile, meaning "handmade." 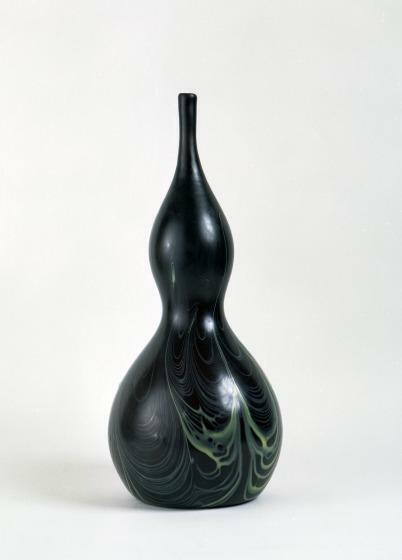 Kevin Tucker, Label text (1983.28), North Gallery, 2008.